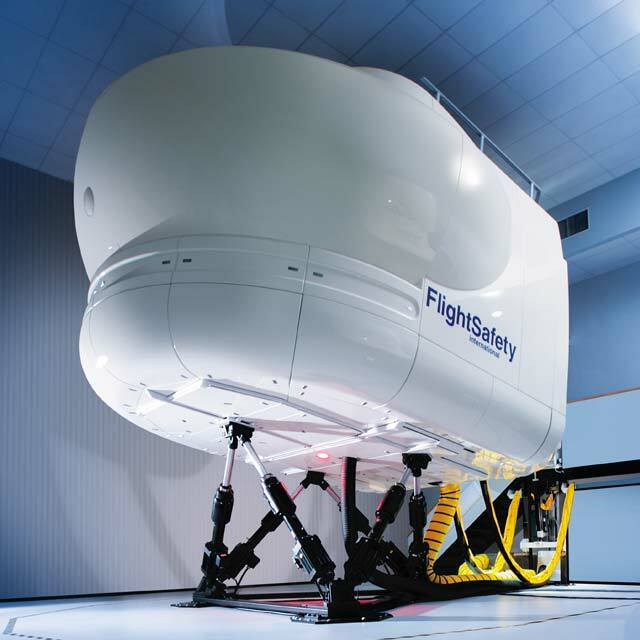 FlightSafety offers comprehensive and professional simulator-based training for all Dassault Falcon models, including the Falcon 7X. Our highly qualified and experienced instructors, advanced-technology flight simulators and integrated training systems help ensure proficiency and safety. We provide pilot and maintenance technician training for the Falcon 7X at our Learning Centers in Dallas, Texas, and at Paris-Le Bourget, France. FlightSafety’s new Master Aviator Program is available to Falcon 7X operators. This program builds on your proven flying abilities with challenging training that expands your skills and prepares you to react correctly to a broad range of demanding and unexpected situations. FlightSafety International provides iPads at no cost to pilots enrolled in Falcon 7X training in lieu of printed manuals. This keeps pilots connected and engaged in an interactive learning experience throughout their training. eLearning courses such as Falcon 7X CPDLC, ADS-B and London City Special Airport training are available to meet your specific training needs. Falcon 7X maintenance training is offered at our Dallas, Texas, and Paris Le-Bourget, France, Learning Centers. Maintenance technicians can take advantage of the Master Technician Training for the Falcon 7X/8X. A career development path for maintenance technicians through a rigorous and progressive course of study that results in optimal advanced skills training. This certification program is recognized and highly respected in the industry. The Customer benefits from reduced aircraft downtime, improved turnaround times and enhanced dispatch reliability. Our 7X Operational Day Flow (ODF) training system presents daily flight profile scenarios as part of an enhanced multimedia training environment. The ODF training provides realistic, hands-on instruction that has been proven to enhance the learning experience and promote increased retention and transfer of lesson materials.